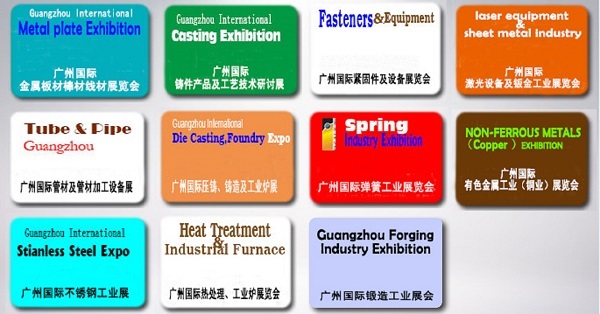 In the past 19th years, the exhibition successfully played its role in industry trade boost. It has attracted 300,000 professional purchasers, been attended by over 30 countries business departments, and been issued by more than 300 medias. “2019 China(Guangzhou) International Metal & Metallurgy Exhibition”will be held at Pazhou Complex-the largest exhibition center in Asia. Take a panoramic view around the world, this exhibition will play an important role & bring great business opportunities again. Hope vendors & visitors could catch this great opportunity to win a good year. A special promotion work group is working on publishing information of the expo through telphone, fax, mobile, email, post, industry magazine, website, newspaper and TV. More than 300,000 invitations and 1,000,000 tickets will be distributed directly to the potential buyers of corresponding industries( hardware, machinery, automobile, building materials, petroleum, chemical industry, aviation, electric power, food, electronic, steel, valves, home appliances, furniture, medical treatment, packaging, paper making, metallurgy) around the world. Exhibits will form an industry chain (Including the raw materials, processing technology, equipments & products) which brings great opportunities & convenience to exhibitors & visitors. Thousands of exhibitors from more than 30 countries & regions and 500,000 domestic and abroad visitors attended in the previous 19th exhibitions. In the past seventeen years, the exhibition successfully played its role in industry trade boost. It has attracted 300,000 professional purchasers, been attended by over 30 countries business departments, and been issued by more than 300 medias. “The 20th Guangzhou International Metal & Metallurgy Exhibition”will be held at Pazhou Complex-the largest exhibition center in Asia. 1. A special promotion work group is working on publishing information of the expo through telephone, fax, mobile, email, post, industry magazine, website, newspaper and TV. More than 300,000 invitations and 1,000,000 tickets will be distributed directly to the potential buyers of corresponding industries( hardware, machinery, automobile, building materials, petroleum, chemical industry, aviation, electric power, food, electronic, steel, valves, home appliances, furniture, medical treatment, packaging, paper making, metallurgy) around the world. 2. Exhibits will form an industry chain (Including the raw materials, processing technology, equipments & products) which brings great opportunities & convenience to exhibitors & visitors.